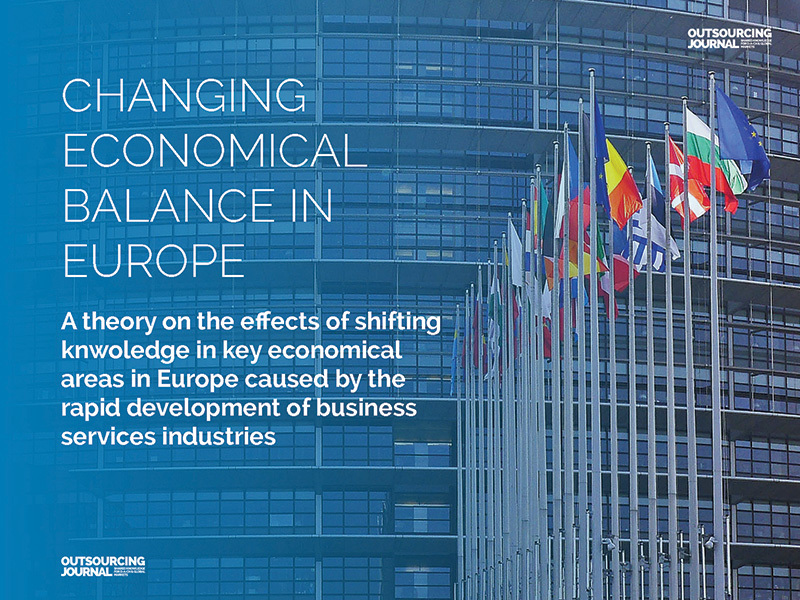 In this article I want to address a number of key issues concerning the developments, imbalance, constrains and the dependencies of buyers of IT and business process services in Europe. The theory is that there is an immense underestimation of the impact the investments of government and commercial organizations in the CEE countries over the last couple of years had and will have on the balance of knowledge and economical power in Europe. And neither politicians, nor most of the business leaders seem to realize that Western-European economies grow increasingly dependent on the delivery of knowledge in the means of well educated and experienced work force in the CEE region and beyond. An immense, and even worse a growing lack of talent in key economical areas like engineering and technology in Germany for instance, an ever failing attempt to reform education, a mislead migration practice and a generally unfriendly economical environment for new businesses, make one worry about the perspective of Germany’s competitiveness on the global market. It is not to be misunderstood that Western Europe is loosing any knowledge. People tend to stay in Western Europe because of the good living conditions and it is also developing new knowledge based on the countries educational systems and the high demand in knowledge jobs, like IT, business processes and so on. The point here is rather that countries in Central and Eastern Europe, namely Poland, Romania, Bulgaria and even smaller or very small economies like Armenia have proven to use effective tools to stimulate knowledge industries, incl. partly huge investments in infrastructure, promotion and international relations and are therefore faster in acquiring knowledge in key areas of economical development, such as technologies, business processes, service operating models, mathematics and engineering. The same did not happen or by far not as effective in Western-European countries, or I better speak of Germany here. No or not the right tax benefits in the technology sector, no special economic zones, no significant in higher education reforms (at least none that would actually raise the quality of the public education, rather the opposite), and no stimulation for creating a culture for progress and development, as we see it in some of the CEE economies. 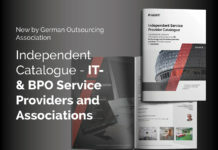 There is also a lack of international business attitude on side of German IT and business process services providers. There are some exceptions though, like the German Arvato or T-Systems, both companies with a concern background and partly large operations and clientele outside of Germany. But the typical mid market IT/business process services company has only very little business on international markets, where it could also gain and develop additional knowledge, besides the international delivery capacities. For a long time economies in CEE were very happy to take over transactional tasks and service delivery for Western-European companies, that were looking to please their share holders with news on cost cuttings and so on. At those times there was actually no imminent need to outsource anything. There were enough people available on the labour market, the salaries were not as low as in the uprising economies in CEE, but still affordable, especially after today’s standards. Anyways outsourcing happened and it happened rather on a large scale with India providing a sheer infinite number of workforces. And I use the term workforce here deliberately, because it was all about that: work, not knowledge not processes or industry experiences, and not innovations. Today we find a completely different situation. This is especially visible on shared service organizations. These centralized functions have evolved to knowledge and resource hubs, providing services to their organizations and even to third parties that have developed way beyond „work-bench-services”. But why is this development not going faster, when the indicators are so obvious? Europe suffers from an old syndrome: it’s many national interests; it’s cultural diversity and many different languages. The European Union was build as a model to deal with these constrains and indeed the business environment – also for the outsourcing industry – within Europe today is better than ever before. Still when taking a magnifying glass and observing day-to-day business, we see that both clients and outsourcing provider deal with strategic and operational issues. Lack of talent – on both sides by the way; lack of knowledge; political constrains; cultural gaps and so on. Also, when looking back the last 3-4 years we see companies in CEE that grew from 200 to 700 employees and this mostly organically. It doesn’t get much faster than that. Of course there are different layers of the industry with the giants on one side – mostly of Indian origin, who have large capital for penetrating new markets – and a large layer of SME’s relaying mostly on organic growth, because the investment and venture capital climate in Europe could be better to say the least. On business side we overcame the quality assurance issues and also constrains caused by the lack of capital. Today companies are investing more on professional communication and marketing and have with that way better chances to grab their place on the German market. Again I choose my words deliberately because it’s not so much fighting for a market place – at least at the moment – but rather filling the gaps in talent and knowledge as well as in business services delivery models on the German market. Another point is the influence of political actions and directions in some of the countries. My point here is, that we are talking about industries with – taking the example Poland – 1000+ BSS/SSC centers and more than 200.000 employees, and which are by now significant contributors to the countries GDP. Going local it also means that the outsourcing services industry is a very important sector for about 40 cities in Poland, contributing to employment, education, regional development, tax income and an improvement in living standards. To be fair we have seen partly large support from public side in emerging economies in various countries, which contributed significantly to the success of IT and business process services industries. A recent study in Germany shows, that not many decision makers on buyer side are concerned about a countries political agenda, as long it’s within the EU, which is surprising as the political affairs are an indicator for stability. But then again, large corporations such as Vodafone, Microsoft, Valeo or Dell operate in Egypt for instance that has seen much bigger political turbulences in recent years. 3) What’s the actual situation like in Germany in terms of sourcing IT talent? A recent market study from IDG in Germany says that the central reasons for outsourcing in Germany are the longing for more flexibility and the lack of own resources. It goes on and names technological know how, paired with a good price-performance-ratio as the main criteria for selecting a service partner. Realistically, we can say that cost is only a driver to an extend, where people want to make a good deal. Of course it is reality that outsourced IT and processes usually save cost too. But the real driver is an immense economical pressure given by changes in the society, in the economies, by the lack of qualified talent and by the lack of knowledge. A disturbing insight are the regions German companies wish to outsource to/from, because 84% want to source from inside of Germany, 36% from other Western-European countries and 22% from CEE. India was outrun with only 10%. This obvious lack of interest in opportunities provided by the same principle the German economy is benefitting so much from – the open global market – is astonishing. In another article I recently stated that German companies still dream from in-house only IT operations, which I should rather correct to In-side Germany IT-operations. But still there is no real business case for that. With a lack of talent in IT only, of 180.000+ by 2020, communicated by the German government, this is impossible, at least for the majority of the companies. The sheer absence of people and knowledge make it a necessity to look for the both elsewhere. On one hand we have large corporations, for which outsourcing is not a new thing at all. However we see also here partly drastic changes in their operations. These corporations traditionally work with captive organizations – Shared Services Centers. Shared service centers were for a very long time also barely more than centralized work-benches, with little influence on the business itself. This is changing. We see established SSC’s branching out and acquiring additional resources and knowledge by outsourcing (working with external technology and process partners). But there is more behind this practice than what hits the eye. Because it indicates the transformation from being a “dumb work-bench attachment” to a corporation to a critical business enabling function, with specialized knowledge, technological capabilities, and even product-, service- and process innovation power. And this puts the SSC leaders on the board table, not literally in most cases unfortunately, but the influence on the corporation’s business capabilities grew immensely. Then there is the big part of the German economy, the mid-market segment, in German referred to as „Mittelstand”. And by big part I mean 99,6% of the German companies, accounting for 58% of all employments and 35% of all revenue generated in Germany. The German KfW bank defines this segment by naming a max turnover of 500 mil. EUR. In relation to outsourcing this is our problem child, because here we see the biggest gap in terms of information, experiences and attitude regarding co-operations with external partners, especially when thinking cross-boarder. Sure the upper segment of mid-market companies has higher adaption ratio then smaller companies. 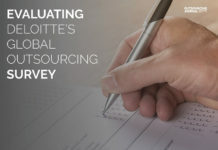 In a recent study with high participation of people employed in mid-market companies shows that more than a third of the people believe that the potential to outsourcing IT related activities is currently used to about 20% only. There is a lot of space. And while we all thought that cloud is an established technology, still 37% of the people put it on priority, the second place, behind digitization. I still have to say there is hope. Because the same study shows that from the 32% of the companies that do not use outsourcing at all at the moment only 18% will remain in 5 years. And if we believe this research Onshoring will drop with 10% within 5 years too. The interesting information here is the increase in Nearshoring is moderate, and Offshoring is predicted to be benefiting more from the increase. Which makes sense in a way that on one hand during that time more companies will have better experiences and want to take advantage of lower cost destinations and on the other hand, that offshoring destinations, such as Egypt for instance will have an improved investment / outsourcing profile. And finally the new businesses – the problem child of the German economy, because the business environment for newly found businesses is, despite the startup boom in Berlin rather unfriendly and the general mentality towards higher risk businesses is nothing like encouraging. When founding a new entity with limited liability (GmbH) for instance the founder must provide 25.000 EUR equity, btw. the highest in Europe. Generally founders have numerous support options on paper, but benefitting from those depends a lot on the founder surviving the German bureaucracy in the process. Refreshing here is that we have a much younger and more practical business leadership, where for instance an online retailer, based in Berlin establishes English as corporate language to significantly extend the pool of applicants in key areas. Still start-ups are not unproblematic in terms of outsourcing. One aspect is the project size, which is usually way smaller and also the time of co-operation is usually very limited. Another aspect is that investors find in-house knowledge very critical for the long-term success of the venture, where outsourcing of all too critical aspects, such as product development is often limited. While India was a synonym for outsourcing, or better offshoring, it simply isn’t anymore at least not in Europe. With the rise and the fast growth of the technology and business process services industries in CEE, but also with the development of neighboring regions Malaysia and the Philippines, with the constant news about bad quality, data abuse scandals, the wide spread e-mail spamming practice of Indian service providers and cultural clashes, India got itself fired from participating in the global evolution of the outsourcing services industry. In numbers the industry is still growing, but that giants like Infosys start cutting a 3000 jobs, is not going unnoticed. A quote from Infosys CEO, Vishal Sikka’s makes it all to clear what’s wrong „We will not survive if we remain in the constricted space of doing as we are told, depending solely on cost-arbitrage, and working as reactive problem-solvers”. He said that at a time 2016/2017 when demands from companies had already changed from work-bench to business partner relations. Of course, while buying economies like the ones in Western-Europe or the US fighting their very own battles with changes in demographics and societies, the outsourcing services industries like in India have other problems. A changing demand and changing market conditions, strong global competition, education as well as communication and promotion on an international stage are a few of them. Concluding, there are three key takeaways. One is that outsourcing and specifically the co-operation with foreign technology and process partners became a necessity for German companies. Difficult aspect here is that many business leaders demonstrate little interest in opportunities provided by the same principle the German economy is benefitting so much from – the open global market. The second one describes one of the effects of the necessity of outsourcing. It’s the growing dependency between economies in Europe. With a shift in knowledge and technological advancements as well as resources and capabilities the CEE countries may demonstrate more confidence within the European economy, based on their knowledge and technological advancements, rather than their political agenda. At the same time Western-European countries need to grow awareness of these changes to finally implement effective initiatives to ensure the competitiveness on the global market. And the third point is often overlooked when talking about outsourcing. This is about that the outsourcing services industries in Europe have their own package to carry. Client’s requirements and demands are changing, which puts the former transactional centers in the position of being, consultant, modernizer and innovator, all at the same time. Considering, I see that most of the outsourcing and shared service organization manage this transition way better than their client organizations. 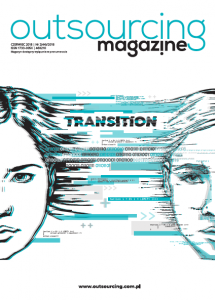 This article was published in the Outsourcing Magazine. 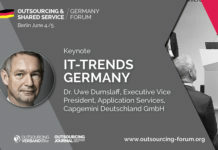 The author: Stephan Fricke is CEO and Head of the Advisory Board of the independent Deutscher Outsourcing Verband (German Outsourcing Association) and of the German Process Automation Association. With the associations he is concentrating on improving market conditions for IT, BPO and SSC services as well as for Robotic Process Automation in Germany and Europe. He is a regular speaker and author on markets, their states and actors as well as the impact on societies and economies. He is also Editor in Chief for the Outsourcing Journal focusing on shared knowledge from experienced industry experts form Germany, Europe and other countries, incl. US, Egypt, India and China. He is advising companies on their strategies and activities on the German market, incl. building strategies, providing individual market research and campaign support. You can connect with Stephan via LinkedIn and Xing.